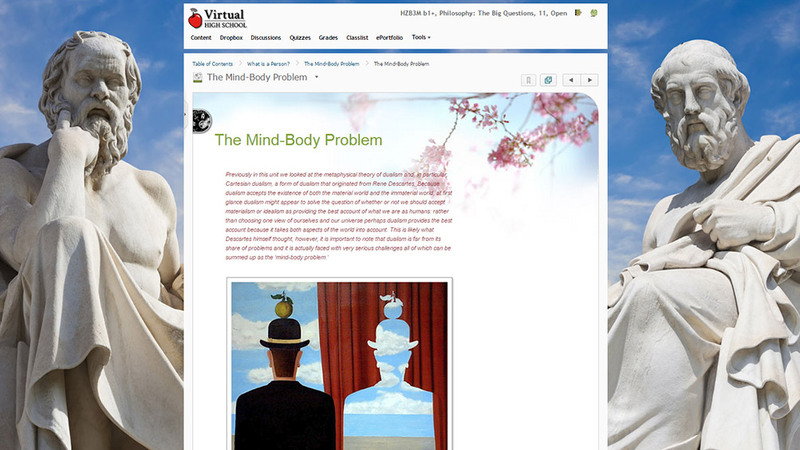 In this introductory unit, before the student begins looking at the five big questions of philosophy, some time is spent discussing the question of what makes a philosopher a good philosopher. After all, the student cannot begin to ask these questions about philosophy until students know exactly how to effectively approach them. First of all, one trait of a good philosopher is that he/she is aware of the different kinds of definitions that can exist in a philosophical piece of writing. For instance, if students are reading a philosophical piece where the author has included definitions of his/her terms, then it is important that they are aware of the kind of definition that he is using so that they can read and understand the piece accordingly. Second, another quality that is perhaps one of the most important skills of a philosopher is to understand the structure of an argument for philosophy is a subject that is, essentially, built entirely upon a succession of arguments. With so much emphasis on the 'argument', then, it is imperative to know what exactly an argument looks like. Third, another crucial skill for philosophers is the ability to, once they have located and determined an argument, evaluate that argument and various factors come into play when doing so. In particular, philosophers want to look at whether or not the beliefs in an argument are justified and very much of the work of a philosopher consists in just that. Fourth, another key skill to have in philosophy is the ability to spot and discern mistakes of reason known as fallacies. Students see and hear fallacies all of the time in their lives and, therefore, it is important, especially for philosophers, to know exactly what fallacies are and what kinds exist. Lastly, something which is just as crucial for philosophers to understand, say, as the validity of an argument is the ability to ask questions and to remain loyal to a philosophical technique known as the Socratic method. Even though the Socratic method is a method that goes way back to the days of Socrates in ancient Greece, the method remains pertinent today and perhaps even more so. Students are going to look at the question of how knowledge works by studying two metaphors; knowledge as a building and knowledge as a boat. By studying knowledge this way and understanding what the metaphors are meant to represent, students should gain an understanding of how knowledge is thought to work from a symbolic point of view. They will look at the question of what kinds of knowledge there are by learning about a priori and a posterior knowledge, two distinct kinds of knowledge defended by two different kinds of philosophers. By studying these two different kinds of knowledge, they will be able to see how knowledge is understood to mean something different depending on the kind of philosophy one supports. Students will also look at the question of where knowledge comes from by looking at the two opposing epistemological theories of rationalism and empiricism. While one theory states that knowledge comes from one source, the other theory states that knowledge comes from a completely different source and so by studying these two theories students will gain awareness of the fact that there exists more than one view concerning the epistemological origins of knowledge. The course then takes a slightly different turn and looks at the limits of knowledge and students will do this by looking at an epistemological theory known as skepticism. In contrast to rationalism and empiricism which both claim that human knowledge can be known and understood, skepticism's aim is to disprove this and so by studying this branch of epistemology they will become acquainted not with the issue of what students can know but of what students cannot know. The unit concludes by testing the limits of human knowledge and asking the much more specific question of whether or not students can ever know about God and if he exists. In this last assignment students will apply the theories of rationalism, empiricism and skepticism leaned in the unit and will show how each theory answers this question about God very differently. By applying these three theories to the specific question of God students will gain an epistemological perspective on a very important question in the philosophy of religion. In this unit students will be especially interested in the question of what is a person. While there is by no means an easy answer to this big question of philosophy, traditionally, the most common method of answering it is to do so by metaphysical inquiry. In fact, the question of what it is to be a person is easily said to be one of the most crucial problems in all of metaphysics. Thus, in this third unit students will be focused on just that: students are going to look at the question of who they are from a metaphysical perspective. This will not only allow them the chance to view the question of what a person is in the most traditional philosophical sense but it will also offer students an introduction to the area of metaphysics in general. The term meta refers to the Greek word for 'after' or 'beyond' making metaphysics literally mean after or beyond physics. Metaphysics, then, refers to the study of that which comes after physics. In other words, it concerns all of those questions that the subject of physics (or science in general for that matter) does not address but just presupposes or assumes is the case. Thus, metaphysics goes beyond the factual and scientific domain of science and tries to explain ourselves, reality and the universe from a much more general and fundamental perspective. Understanding the question of good and evil has been a great area of concern and debate throughout the history of philosophy and, of course, it continues to be one of equal strength today. Oftentimes the difficulties in understanding the question of good and evil are attributed to the various opinions that exist in the world as to what constitutes good and evil and this could be said to be the case in philosophy as well. From a philosophical point of view, the challenge behind understanding the question of good and evil also exists due to a diversity of viewpoints and perspectives on the matter. However, the challenge of understanding the question of good and evil also exists due to the vast number of ways that philosophers approach and interpret the question. For example, sometimes within ethics moral philosophers are concerned with studying very specific ethical concepts and arguing why certain concepts are to be given a higher priority than others. Other moral philosophers, however, care more about how ethics relates to everyday life and so these kinds of philosophers spend their time looking at ethics from a more practical and applied perspective. Still, other moral philosophers are interested in studying solely the foundations of moral beliefs and, consequently, view moral philosophy from a highly abstract level. Other philosophers, however, concentrate on the task of presenting ethics as being either an objective, intersubjective or subjective enterprise and there is much debate within philosophy as to which of these three viewpoints provides a more accurate picture of ethics. Finally, there are still other philosophers interested in moral philosophy who are interested in emphasizing the limits of morality and advancing the argument that perhaps morality does not even exist at all. The branch of philosophy that addresses the big question of what is a just society specifically is, first and foremost, political philosophy. Broadly speaking, political philosophy refers to the study and justification of collective institutions and among those collective institutions studied is indeed society. (It is important to note here that political philosophy is, therefore, distinct from political science: in the case of the former, the main aim is to justify collective and political institutions whereas in the case of the latter, the main aim is to explain). In order to determine exactly what a just society should look like, however, political philosophers usually look more closely at the more specific issue of justifying government for, after all, it is very difficult to think of a society that is not, in some form or another, led by a certain level of government. Therefore, in order to know whether or not a society is just, one must look to that society's government for this will be a very likely indicator of its justness. That is, for better or worse, the justness of a society is very often a direct result of the justness of government. There are many ways that political philosophers and theorists approach the question of whether or not a given collective or political institution is justified and, as a result, many different political philosophies and theories are formed. This is why we see and hear of so many different views and opinions, say, in the news, on the internet or from friends and family. In this unit, students will take the time to discuss each of these different directions taken by political philosophers today. For example, students will learn about what exactly government is to begin with. In particular, students will look at just how it is different from any other collective or political institution and what makes government actually quite unique. They will then be introduced to the historical idea of the state of nature and what the famous philosopher, Thomas Hobbes, has to say about it. As students will see, since the time of Hobbes, the state of nature is thought to provide the very reason why humanity should want government in their lives and why it is indeed necessary. In Activity 4, students will then go on to discuss the first of the four major political theories that will be discussed in this unit, namely, liberalism. They will learn about various versions of the theory, two famous liberal thinkers, John Locke and John Stuart Mill as well as liberalism's overall opinion on the role of government in people's lives. Students will discuss a second major political theory, namely, socialism. In particular students will learn about its defining features, the revolutionary socialist leader, Karl Marx, as well as the extreme version of socialism which is communism. They will look at a third major political theory, namely, conservatism. They will then learn about what defines conservative thought, the thinker who is known to be the father of conservatism, Edmund Burke, as well as the most extreme version of conservatism, namely, fascism. Then the course will take a sharp turn and look at a theory that is very different from the rest of the political theories studied, namely, anarchism. In particular, students will learn about the general definition of anarchism, two very different strands of anarchism as well as the great American legal theorist, Lysander Spooner, and how his work is relevant with respect to anarchist thought in general. Finally, students will end the unit by looking at the very important topic of human rights. They will see how and why a certain conception of human rights ultimately forms the basis of all major political theories, the different kinds of rights that exist and why an understanding of human rights is so crucial to any serious inquiry within political philosophy. When one asks the question of what the meaning of life is, a natural place within philosophy to turn to is the field of philosophy known as existentialism. Compared to other branches of philosophy, existentialism is a new field of philosophy which first emerged as a serious area of study only after the Second World War. After the war, the world was disillusioned and, as such, the academic and scholarly works of philosophers, writers, and theorists from around the world (especially Europe) would eventually come to reflect this disillusionment. In this sense, then, existentialism can rightly be seen as a development arising out of the horrors of war. Aside from its being seen as a development of the war, however, it is quite difficult to try to define existentialism because instead of its consisting of one main, overarching theme, existentialism consists of and draws upon various themes. Some of the most common themes found within existentialism concern existence and essence, the individual, types of being, freedom and choice as well as the absence of a rational understanding of the universe and the consequent feelings that arise from such an absence, such as feelings of angst or fear and anxiety. Occasionally somewhat more optimistic themes are found within existentialism in themes that concern ways to overcome feelings of angst and to, more generally, accept the absurdity in human life; however, such themes tend to be exceptions to the rule. Another unique feature of existentialism, and one which is not always present among other fields of philosophy, is its distinctively emotional and sensitive tone, for existentialism has a unique way of affecting the individual emotionally. Whether it is because individual existence is at the forefront of the field and, so, naturally we have an invested interest in the subject, or whether it is because existentialism forces us to consider the possibility of a life without meaning, regardless of the exact cause, existentialism has a unique way of stirring up emotion so much so that it is sometimes hard to avoid feelings of weakness, emptiness, or even sadness when reading this area of philosophy. Now that students have gained an introductory understanding of philosophy, in this final unit of the course students are going to look at how the subject applies to the real world, that is, students are going to talk about philosophy and how it relates to everyday life. After all, philosophy has very real life implications and it is important to know that it is not just something that students read about in a philosophy textbook or online. For example, as students might have experienced in some of their other courses, it is quite common for philosophy to be discussed in other subjects as well and, in fact, it is not only discussed in other subjects but, quite frequently, philosophy is what provides the very foundation for which many subjects are built upon. Furthermore, it is important to realize that philosophy and philosophical issues also very much exist within the media and one just has to pick up a newspaper to see the philosophical significance of many stories in the news today. There is also a lot to be said about certain current philosophers who are making a difference in the field of philosophy today which just proves how great philosophy is not something that was produced generations ago but is, rather, still very much being created today. Also, very relevant with respect to philosophy and everyday life is the issue of being able to find a job in the field and understanding what options are available to students if they seriously want to pursue the subject. Finally, another important consideration to bear in mind when discussing philosophy in relation to the real world is the argument that philosophy actually does not apply to the real world and recognizing these sorts of criticisms of philosophy is key to understanding the subject's overall impact on the world. This project is worth 30% of the final grade. Students will complete a "Philosophical Growth Portfolio" based on their work throughout the course. B3 Defining Terms and Concepts: demonstrate an understanding of terms and concepts central to discussions of the big questions of philosophy, and of how these terms and concepts are used in various philosophical traditions. C3 Developing Philosophical Responses: use philosophical reasoning and critical thinking skills to formulate responses to big questions of philosophy and to arguments encountered in everyday life. D2 The Relevance to Education and Careers: demonstrate an understanding of the relevance of philosophy to other subject areas and careers.